Two Islamic extremists have been arrested in Paris after plotting to brutally slaughter a kindergarten full of young children. The two men, both 20 years old, were arrested on March 25th in Seine-et-Marne with the Paris prosecutor charging them over plotting to mass-kill children, RTL reports. Breitbart.com reports: One of the men involved is said to have been known to the General Directorate of Homeland Security (DGSI), France’s internal intelligence agency. The suspect also spoke highly of terrorist Mohamed Merah, the Islamic extremist who was behind the Toulouse and Montauban shootings that targetted French soldiers along with teachers and children at a Jewish school in 2012. A source close to the investigation also told RTL that the chief suspect in the plot has “very strong psychiatric instability,” as well as signs of depression, narcissism, and suicidal tendencies. 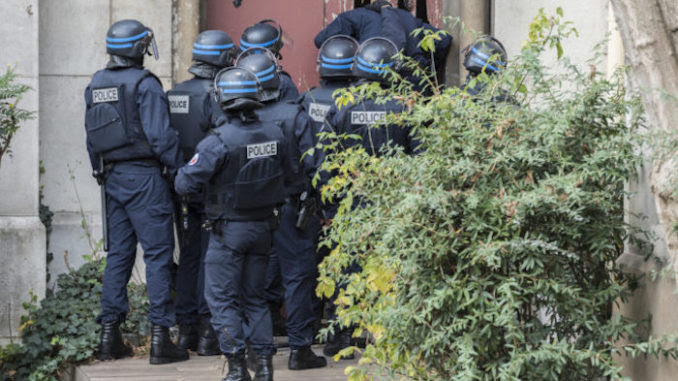 The arrest is just the latest terror plot to be foiled in France. Last October, French Interior Minister Christophe Castaner said that authorities had managed to thwart five major terror attacks in 2018 alone. Earlier this year in the city of Angers, an Islamist was also arrested after attempting to have a sub-machine gun delivered to him by post. It is unknown whether or not the firearm was procured in connection with a terror plot.